This post was first published on the MatthewChan.com Blog. At long last, I have finally written, published, and released both of my “TurnKey Publisher” books for general sale. They are now available and in stock at Amazon.com and BN.com. 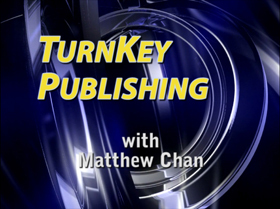 “TurnKey Publishing” was made available in February but I did very little to promote the book at that time. I was waiting for the completion of Volume II, “The TurnKey Publisher’s Audio Publishing Handbook”. After all, this is the beginning of what I call “The TurnKey Publisher” series. These two books really go together as a set. Volume I starts with the business of book publishing and then continues to Volume II where readers are introduced to the world of audio publishing. Volume III, “The TurnKey Publisher’s Unstoppable Book Writing” has been announced and 50% of the book has been written. It will be a much smaller book than most books I have written thus far but I think will be essential to help those break the mental barriers that often come up in the world of publishing. Volume IV, “The TurnKey Publisher’s Accelerated Publishing Handbook” has been announced. Nothing has been written, not even an outline. This book incorporates elements of Volumes I to III into the premise of Accelerated (quick, down, and dirty) Publishing. I am kicking around ideas of releasing a “TurnKey Publisher” introductory audio product using some cutting edge technology. However, I don’t want to say too much right now until I finalize my decision. 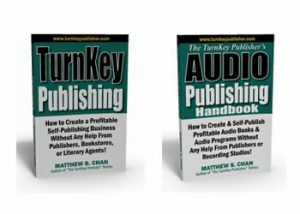 2009 will be the year of “The TurnKey Publisher” series. I am quite excited and believe it will carry me well into 2010. I will be making more announcements in the following months.